The colours on these hen capes are brighter than they at first appear. This is because you have the coloured band laid onto the dark band underneath. 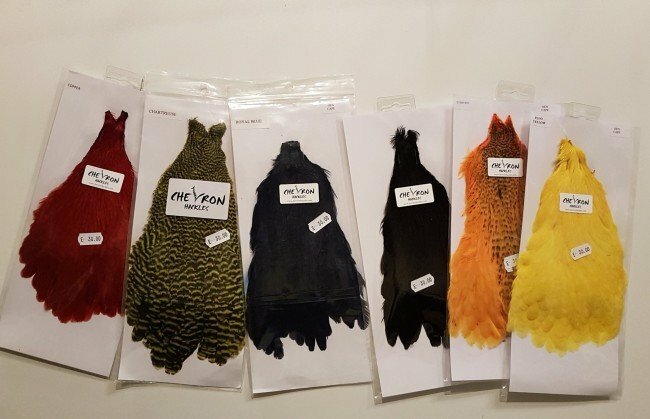 View each hackle individually, and you will see the vibrant colour it really is. Long, soft hen hackles ideal for many spiders and any patterns calling for mobility, the grizzle effect breaks up the profile.